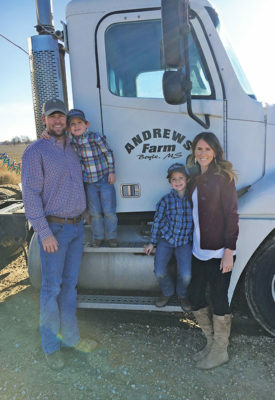 Peyton Potter was born into farming in Washington County and he’s the third generation to toil the Delta area acreage that that continues to provide for his family. Growing up on his dad and grandfather’s farm, the forty year-old Potter followed along in the path they made on the turnrow and has done so for twenty-five years. His father and grandfather are both deceased , and now Potter gets to make the decisions but has kept most things the same. 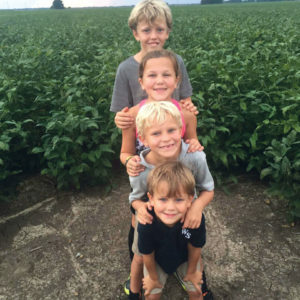 “Our farm is on Highway 438 in Arcola with some on the east and some on the west. I enjoy being outside and working outdoors. I don’t know that I would enjoy an office job, but I guess I could if I really had to,” Potter says. “My father and grandfather were big cotton farmers, but now I farm corn and soybeans,” he adds. And he’s working to bring up the next generation of Potter farmers by giving them tasks to help out. “My oldest son helps me punch poly pipe, and the rest of the family thinks they’re helping me punch poly pipe,” he says with a laugh. His wife, Rebecca, keeps up with the four Potter children—son Riley, thirteen, daughter Maddie, eleven, son Jacob, nine and son Thad, seven. Working the full acreage, Potter has help from his manager Greg Morlino, and has a blend of farm machinery with no particular brand allegiance. Potter really enjoys technology, and handled that side of things when his father was still alive. His acreage is all irrigated, and Potter enjoys the benefits of that technology and keeps up with the metering while counting pennies. This is a different mindset from the past generation. “During my father and grandfather’s era everything was we want high yields regardless of the cost, now we try to farm by regulating cost, which will hopefully result in a higher profit,” Potter says. His favorite part of farming is being able to work outside, and not being restrained by a cubicle. But the hardest part of farming does require a bit of indoor work dealing with finances. Potter says however, that working directly in the field helps any farmer manage his books more effectively. “It’s beneficial because you need to know what’s going on in the field in order to do the books correctly,” he says. 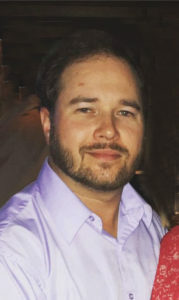 The third-generation farmer took classes at Mississippi State and then graduated from Delta State with a General Business degree. But he knows to be successful it is important to rely on a team of experts in their own field. “I’m surrounded by a network of good people, and that helps a lot. An accountant, my seed and chemical rep, and my labor. Without them, I don’t know what I’d do,” says Potter. Potter has found that with four children there’s not much free time to hunt and fish and pursue other non-farming hobbies. But he has found a family activity they all can partake in. 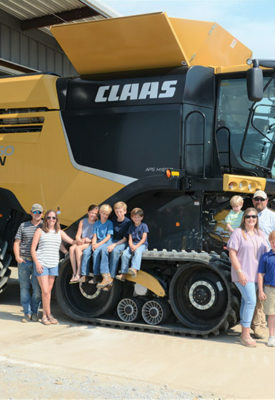 The Potter family—working hard and playing hard in the Delta dirt. 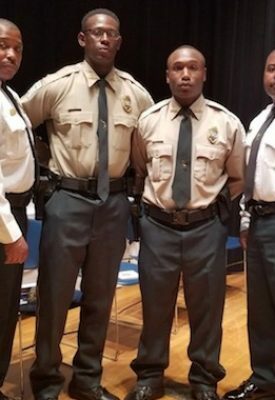 Two Mississippi Valley State University officers are now ready to protect and serve after successfully completing the Law Enforcement Training Academy at Mississippi Delta Community College. Officers Svante’ Brown of Greenwood and Henry Manuel, Jr. of Moorhead were among 24 cadets to graduate from the Academy Aug. 2 in Moorhead. The cadets lived on campus five-days per week for 12-weeks to complete the academy, which included intense physical training and learning of the law. During the graduation ceremony, Manuel was recognized for earning 3rd place and Brown for earning the 5th place Top PT (Physical Training) award. Both officers were also recognized for successfully completing the Warrior Challenge and for running five miles in under 50 minutes. As part of the training, the officers also earned certification in shooting, shuffle steering, OC pepper spray and defense tactics. Brown has been employed with MVSU for 3.5 years, and Manuel has been employed at The Valley for 2.5 years. Trucks need to be moving from point A to point B at the least amount of cost in the shortest period of time. Technology and regulations are not always aimed at that end though. Today’s truck driver and trucking companies face a litany of regulations they have to maintain on and off the road. 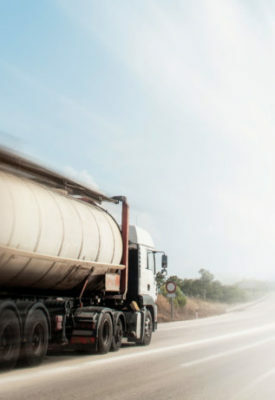 Rising fuel costs make it a gamble at times to secure loads. There are plenty of trucks available with routes ready to run, but the men and women behind the wheel are facing challenges with technology and regulations that sometimes make it difficult. Hal Miller, president of the Mississippi Trucking Association in Jackson notes the same problems discussed last year are still the main challenges for 2018. The industry is facing a shortage of nearly 50,000 drivers equating to 50,000 loads sitting somewhere needing a driver, according to Miller. With a predicted shortage of nearly one million drivers by the year 2022, that would put 250,000 loads sitting in docks, fields and ports waiting for a driver. Miller is working with government officials to find ways to ease that burden. Miller and transportation officials are trying to figure out ways to make an industry standard age. The industry has instituted two pay raises for drivers to keep them. But infrastructure problems are a safety concern for drivers and trucking firms alike. 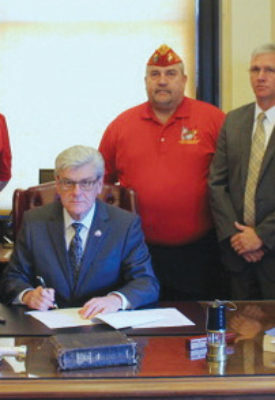 Scores of bridges have been tagged for repair across the state and Miller notes that many other states have raised their fuel taxes to battle infrastructure problems, but not Mississippi. The Mississippi Department of Transportation is responsible for maintaining 30,000 lane miles of highway and 5,767 bridges. For the past forty-five years, Jimmy Wood has travelled more than 3.5 million miles on American highways and byways. Wood hauls steel products from both Cleveland and Rosedale all over the United States. 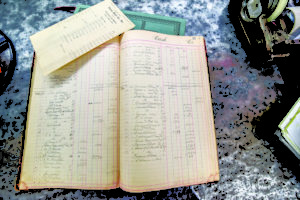 Electronic log books were made mandatory last December. Switching form paper logs to electronic has been difficult for many older truckers. But as the owner of a vehicle manufactured before 2000, Wood is exempt from the mandate. Dispatcher Calvin Fleming at Eubanks Trucking likes the electronic log book system as it helps keep up with truck locations as well. Fleming notes that finding drivers has been the biggest challenge lately. “We’re hunting drivers. We can’t keep drivers, there’s a driver shortage right now. It’s hard to find anyone to work,” he saiys. Over at DBR Logistics in Lambert, Larry Barbian faces several challenges including finding good drivers. Barbian does like using electronic log books for his company. “The government mandated electronic logs making it easier on us. It tells the driver when they have to stop and take breaks,” he says. DBR Logistics has fifteen drivers and Barbian has been in the industry the past seven years. J&H Diesel out of Greenville has the challenge of finding qualified diesel mechanics. The company repairs diesel injection pumps, school buses, small pick up trucks and medium duty diesel trucks. J&H also market turbochargers for diesel engines around the world and repair them as well. After fifty-seven years in business, the company continues to grow. At T&L Freight, dispatcher Nick Shurden, notes that there’s not much truckers can do about fuel costs, so they focus on challenges they can have more control over. Drivers have to do much more than get a load from A to B on time. He further explained about the driver shortage defining it not as a shortage of actual bodies, but of those capable of handling the aspects of the job that aren’t part of actually driving. He notes that many older drivers have found it more difficult to work with log book technology that is taking them from paper and pencil to a computer. As a dispatcher, Shurden tries to find capable drivers who can handle the government regulations and technical systems. He also explains that those coming into the workforce don’t have the same dedication and work ethic as older drivers in taking on the challenges of being away from home and other parts of the truck driver job. The thirteen-year veteran of the industry has seen a lot of things while on the job in the transportation industry. With a twenty-five-truck fleet as well as a brokerage with another twenty-five trucks, Shurden and his crew have mechanics on board to maintain the fleet. 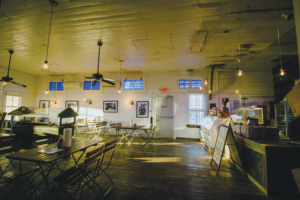 It’s quite amazing that a small Delta business could make it 20 years, but 129? 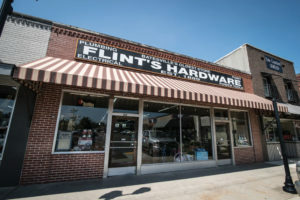 Flint and Son, better known as Flint’s Hardware, celebrates being a thriving business since 1889, when C.H. 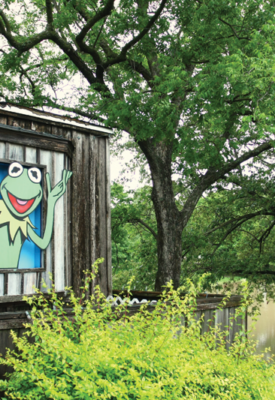 Flint saw a golden opportunity in Batesville. To put the business’ longevity into the right perspective is the store opened just 24 years after the end of the Civil War. “We’ve been through two World Wars. We are older than the Titanic and older than even automobiles. That blows people’s minds,” says Ben Flint, the great-grandson of C.H. Flint, who couldn’t be more pleased or proud of his family’s legacy in Batesville. 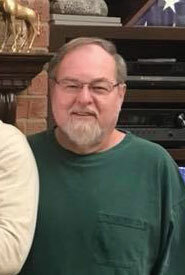 Ben’s father, Calvin Flint, and uncle, Armtead Flint, ran the store before him, and before those two his grandfather, Calvin E. Flint, was in charge. Though it hasn’t always been so, every person who currently works in Flint’s is, well, a Flint. 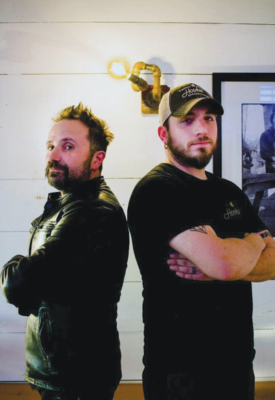 “There are Cole and Johnathan, who are both my first cousin’s sons,” says Ben. 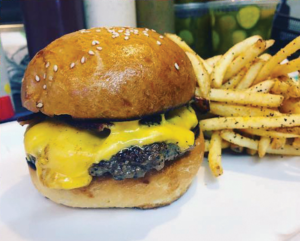 Edwin, a first cousin, and self-proclaimed “black sheep” of the family, works part-time. He was an attorney for 30 years before he moved back home. As for Ben, he worked with his dad and uncle for 35 years. All in all, they have great memories that have lasted several lifetimes. “I used to walk to town when I was little and my dad would give me a quarter for a coke and nabs. There are so many stories, it’s hard to tell them all,” Ben said. “One story we still talk happened to my cousin Barry, who was working here at the time. Someone brought a .22 rifle in and wanted us to sell it for him. Barry checked it out and put it on the rack to sell. 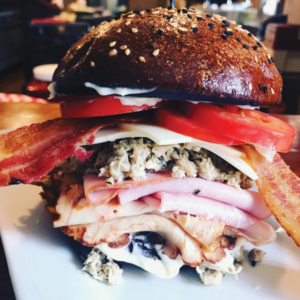 People would come in here and look at it. One day, Barry picked it up to show it to someone. Our police chief was out in front of the store directing traffic. Barry aimed it outside toward the front and pulled the trigger. It went off and knocked a hole in the glass. After he did it, Barry dropped the gun, and asked my dad repeatedly, ‘Am I bleeding? Am I bleeding?’ My dad said, ‘Son, you are so white, there’s no blood left in you. We still have that hole in the glass. The weather has also played a big part in Flint’s history. Yes, it’s a lively group of descendants who love the hardware store as much as they love each other. They put in a lot of hours and hard work, but they still have a good time, carrying on the family business. Business has not always been booming. 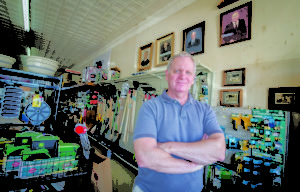 In fact, Flint’s Hardware has seen its share of hardship. From a major decline in sales during the Panic of 1907 to a boll weevil infestation during WWI, the family has persevered. Ben says there was also a fire in 1954 that burned down most of the Batesville Square. Not even the birth of big named stores like Lowe’s, Home Depot or Wal-Mart has shut the doors. 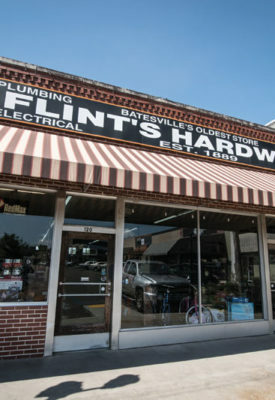 Through Flint’s Hardware’s pursuit of excellent service and complete knowledge of products and projects, the business has maintained its customer base. Being small also gives them a wealth of knowledge of their regular customers. They are able to greet each by name and, if they are a new customer and their name isn’t known, they are still given a wide smile and a greeting. The Flints are also able to direct them to the exact location of every item needed to complete a project, whether big or small. “I’ve been working here since I was 15,” he said. “I worked on and off through college and fulltime since I was 20. I’ve been happy. I could make more money somewhere else, but I am happy to carry on the family tradition. The business motto is “If we don’t have it, we can get it,” rings just as true today as it did when the doors first opened. 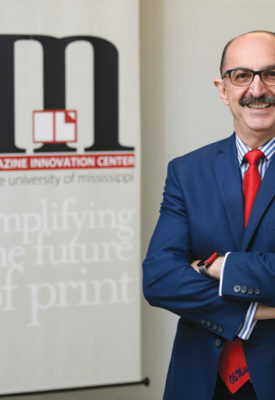 University of Mississippi alumna Amy Lyles Wilson is working to raise $100,000 to rename the Magazine Innovation Center at the Meek School of Journalism and New Media for the center’s longtime director and journalism professor Samir Husni. 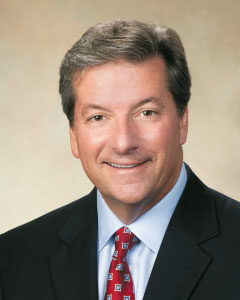 A former student of Husni’s, Wilson wants to rename the foundation of the university’s magazine program to the Samir “Mr. Magazine” Husni Magazine Innovation Center in honor of the professor’s years of service and dedication to his students. 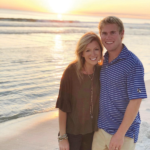 Wilson’s family donated an initial $55,000 gift to support the effort, and she’s inviting others to contribute through the Ignite Ole Miss crowdfunding platform to reach a $100,000 goal. Just over $76,000 has been contributed thus far, and Wilson is hoping more of Husni’s friends, colleagues, and current and former students will pay tribute to his legacy on campus. Husni joined the UM journalism faculty in 1984 and has become known as the world’s leading magazine expert. Besides teaching, he continues to be a practitioner in the magazine industry by offering consultation and insight to new magazines. 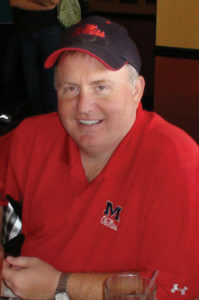 In 2009, he created the Magazine Innovation Center to link the greatest minds in the industry with future industry leaders: Ole Miss students. Since Wilson’s time in his classroom, she and Husni have become friends and peers, working together to publish his Launch Your Own Magazine book and supporting young people who dream of careers in magazine journalism. Husni set the foundation for Wilson’s career, she said. Since earning her degree from Ole Miss, she has written for magazines, published books and developed communications materials for nonprofits. Wilson has co-authored or contributed to eight books, and her work has appeared in a variety of publications as well as on National Public Radio. 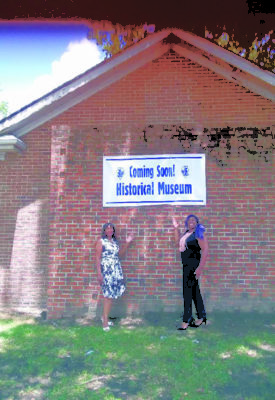 Amanda Jones, Director of Family and Youth Opportunities, is coordinating a movement in Clarksdale to renovate the old Myrtle Hall School Library and turn it into the Myrtle Hall Library for Negroes Museum. The renovation began July 1 and the library is tentatively scheduled to open May 4, 2019. Jones says Coahoma County has committed to pay $10,000 to help fund a matching grant to cover the first phase of renovation costs for the project. They have given $5,000 with another $5,000 to come. The group has asked the City of Clarksdale to do the same. Additional grants are being sought. She urges all who are interested in the project to go to Gofundme.com/MyrtleHall LibraryforNegroes. Clarksdale Mayor Chuck Espy says the city would work to include the Museum in the fiscal year budget, which the Mayor and Board of Commissioners are currently finalizing. The museum will be housed in the original Myrtle Hall Library for Negroes, which was recently Mississippi’s latest addition to the National Register of Historic Places and is located on State Street just to the East of the Highway 61-49 Crossroads.